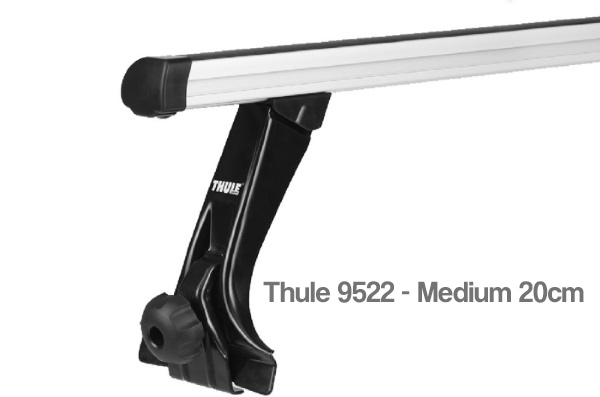 The Thule 9512, 9522 & 9531 Foot Packs are suitable for vehicles with rain gutters. The foot pack clamps to the rain gutter by tightening the adjustment knob. Three sizes available: Low 15cm, Medium 20cm and High 28cm - be sure to measure the distance between the rain gutters and roof to ensure you choose a foot pack with the correct clearance required. Note: The 9512, 9522 & 9531 is supplied as a pack of 4 feet. Roof bars are not included. 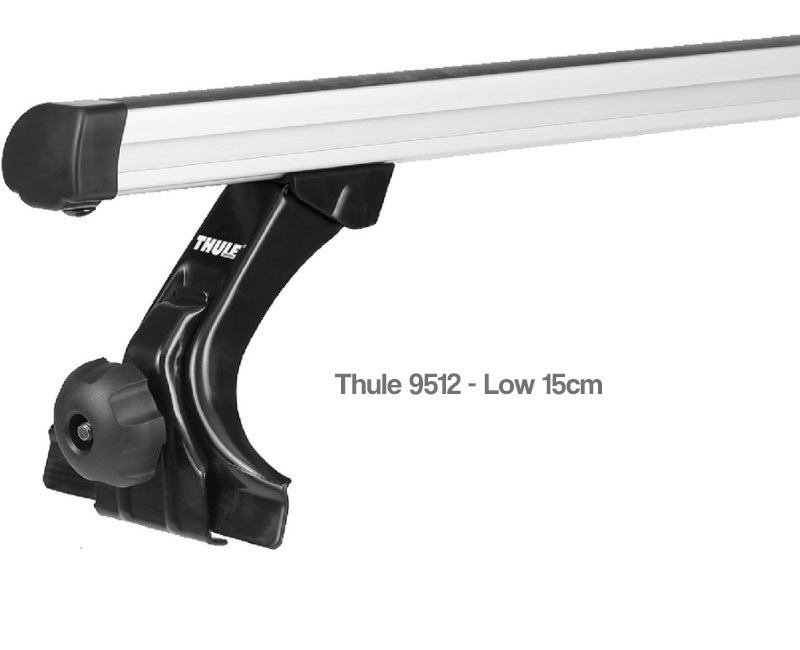 Fits all Thule Roof Bars. 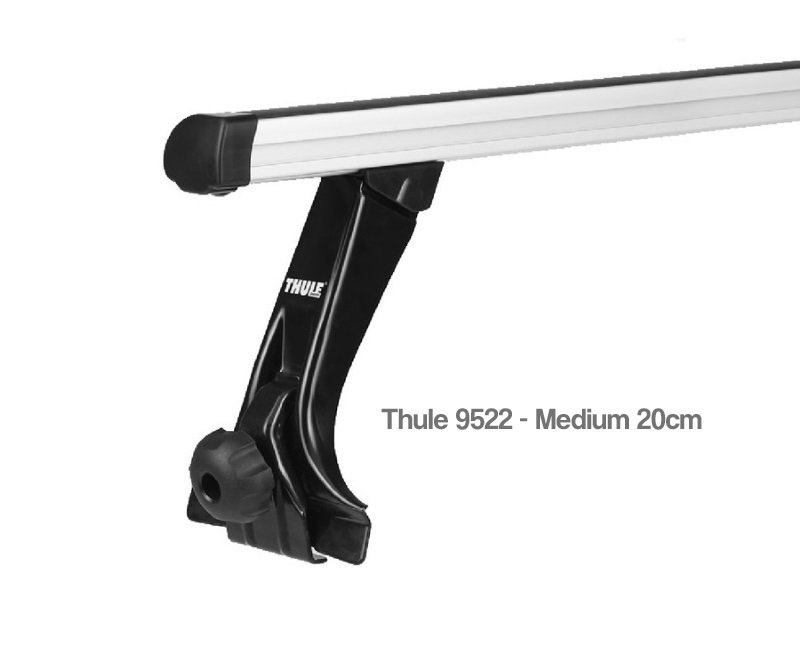 We offer a delivery service for the Thule 9512, 9522 & 9531 Foot Packs throughout the UK & Ireland to home and work addresses. 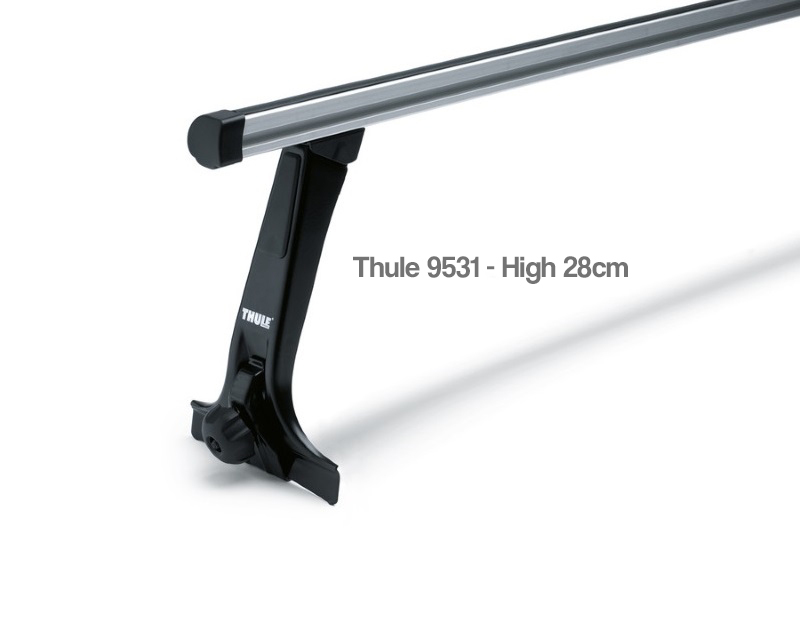 Buy a Thule 9512, 9522 & 9531 Foot Packs online from our website and collect from one of our nationwide branches.